V Festival – end of an era! 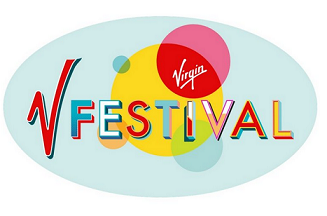 You may have heard the news by now… Sadly, V Festival is no more. 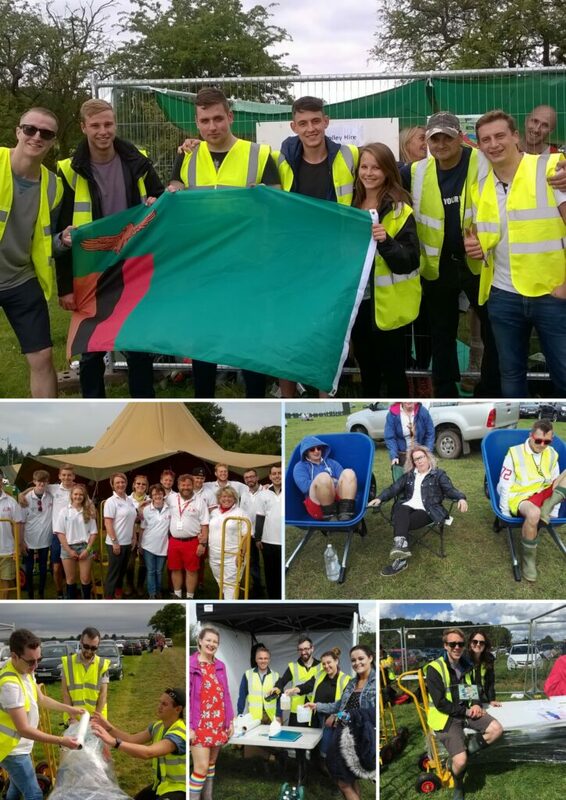 Village Water has enjoyed a long history with V Festival at Weston Park – what started as a few volunteers selling teas and coffees for donations has grown into one of our biggest fundraising events. 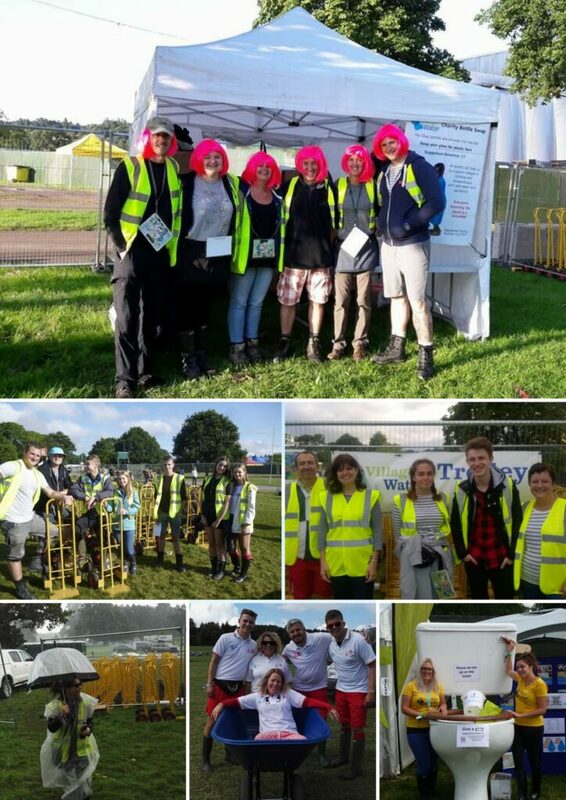 Each year around 120 volunteers come together to help us manage trolley hire, bottle swap and V style porter services; in pink wigs and hi-vis, our volunteers have stuck it out through rain, wind and freezing cold and we couldn’t be more grateful. I joined in the V Festival fun for the first time in 2017, before I become a full time fundraiser for Village Water, and remember wrapping industrial sized cling film (normally used for wrapping around the luggage trolleys) around the legs of our bottle stand table as a make shift wind breaker, and sitting underneath to avoid the torrential rain. It was all totally worth it a) because you know you’re there for an amazing cause and b) we got to see Pete Tong and The Heritage Orchestra play Ibiza Classics! Although a lot of hard work went into organising the festival, it was always worthwhile and we ended up raising between £10,000 – £15,000 each year. Having the platform of V Festival to promote our work was an incredible resource, playing short videos between the acts on the main stage and chatting about our work to festival goers, we reached thousands of new supporters from a totally different age range. We’ve had an amazing time with V Festival over the years, and just want to say a huge thank you to the organisers for partnering with us and supporting our time there. And of course, to every single one of our volunteers, who came back with us year after year – you’re all amazing! You’ve played such a huge role in supporting our work, helping to reach thousands of communities with safe water and sanitation and a better life. We really couldn’t have done it without you! Beth & the Village Water team.